The Yamaha YTS-26 tenor saxophone combines state-of-the-art production expertise with design elements of Yamaha professional and custom saxophones. The result is an entry-level instrument that delivers the response, intonation and tone needed to help developing musicians achieve success. New features include an improved Low B-C# connection that ensures the consistent closing of the low C# key and promotes a clear response from notes in the low range of the instrument. 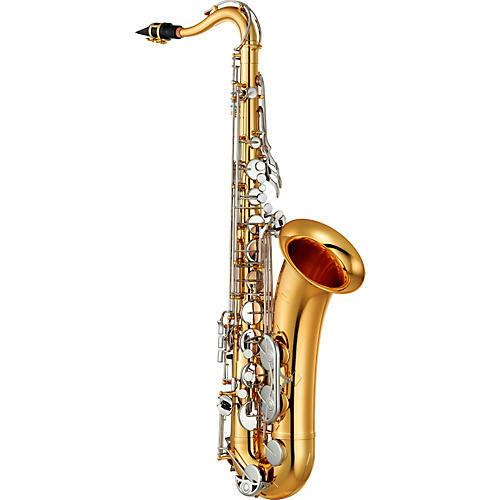 New features and a recent redesign combined with legendary Yamaha durability make this new saxophone the ideal choice to start your musical journey.